The American Health Council is proud to appoint Sarah Kavalauskas MSN, BSN, RN, PALS, ACLS, NRCME to its Board of Nurses. Currently a Certified Nurse Practitioner at Health Partners of Western Ohio, Kavalauskas brings her expertise in ER-trauma and Pediatrics. 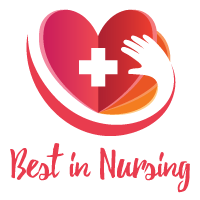 The American Health Council is proud to acknowledge seasoned nurse Kavalauskas for her clinical proficiency and commitment to patient care during her 19 years in the healthcare industry. A second-generation nurse, Kavalauskas’ was inspired by her mother’s fulfilling career as a registered nurse. Drawn to the prospect of such a fulfilling profession, Kavalauskas earned a BSN from Chamberlain College of Nurses in 2010 and then an MSN from Indiana Wesleyan University in 2014, graduating with honors. In addition to this comprehensive academic preparation, Kavalauskas also pursued clinical certifications in Pediatric Advanced Life Support (PALS), Advanced Cardiac Life Support (ACLS), Trauma Nursing Core Course (TNCC), and National Registry of Certified Medical Examiners (NRCME). Kavalauskas presently demonstrates clinical prowess in her role as CNP at Health Partners of Western Ohio where she’s served for almost two years. She typically assesses both primary and specialty patients from infancy to young adulthood, further utilizing her passion for serving pediatric populations. Working closely with such patients, Kavalauskas furthers a patient-centered approach to clinical care, functioning in diagnostic and prescriptive capacities with these young patients. She works hard to ensure the maximum number of patients have efficient quality care, seeing as many as 16 to 22 patients a day. Previously, she spent several years as a travel nurse in various emergency rooms across the nation, sharpening her nursing skills in dynamic high-pressure clinical environments. Her dedication, passion, and drive to change lives have been fulfilled by her extensive nursing career. 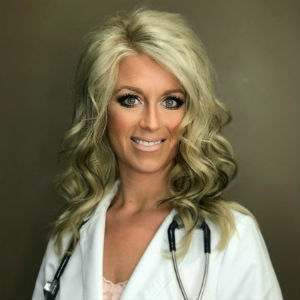 Kavalauskas’ maintains relationships with her peers in the American Association of Nurse Practitioners, National Association of Pediatric Nurse Practitioners, and Ohio Association of Advanced Practice Nurses. Within the next five years, Kavalauskas hopes to strengthen her academic foundation with a doctorate degree and looks forward to positively impacting more lives with her expanding business and established clinical skills. A leader outside of her professional NP role, Kavalauskas is also a female entrepreneur, a leader for an international cosmetics company. Kavalauskas proudly leads a strong army of woman whose goals are ignited by changing other woman’s lives through building self-esteem, confidence, and bringing out the inward beauty. Kavalauskas attributes her professional success to her faith, the encouragement of her husband, and support of great mentors and co-workers. When she isn’t managing her company or spending time with her husband and four-year-old son. Health Partners of Western Ohio eliminate gaps in health outcomes for their members of their community. Providing access to healthcare at an affordable, preventative, and quality standard. Furthered her education by obtaining clinical certifications in Pediatric Advanced Life Support, Advanced Cardiac Life Support, Trauma Nursing Core Course, & National Registry of Certified Medical Examiners. Furthering a patient-centered approach to clinical care, functioning in diagnostic & prescriptive capacities with patients. Ensure the maximum number of patients have efficient quality care — seeing as many as 16 to 22 patients a day.